This article was last updated Jan 23, 2019, but some terms and conditions may have changed or are no longer available. For the most accurate and up to date information please consult the terms and conditions found on the issuer website. The information related to the AAdvantage® Aviator® Silver World Elite Mastercard® and AAdvantage® Aviator® Red World Elite Mastercard® has been collected by CompareCards and has not been reviewed or provided by the issuer of this card prior to publication. The AAdvantage® Aviator® Silver World Elite Mastercard® was one of two Barclays credit cards — the other being the AAdvantage® Aviator® Red World Elite Mastercard® — that survived after the merger of American Airlines and US Airways in February 2013. American Airlines AAdvantage® loyalty program members searching for a card that offers higher miles per dollar spent on the carrier, along with hotel and car rentals, will find the AAdvantage® Aviator® Silver World Elite Mastercard® attractive. It also offers a way to earn elite status on the airline, perks that help make travel smoother, a chance to get yearly companion passes and fee credit and discounts. But there are perks you’d expect from a card that charges $195 a year that just aren’t there, so we’ll look at the pros and cons to see if the AAdvantage® Aviator® Silver World Elite Mastercard® is worth it. We’ll also compare it with the Chase Sapphire Preferred® Card for those who might not want to be tied to one airline and want to earn more points per dollar spent in travel and other popular categories. Read Which American Airlines Credit Card Is Best for You? Earn 3X AAdvantage® miles on eligible American Airlines purchases, 2X AAdvantage® miles on select hotel and car rentals, and 1X AAdvantage® miles on all other purchases. You earn the most miles for eligible American Airlines purchases among the carrier’s two Barclays and four Citi® credit cards, plus you earn more miles per dollar spent for hotel and car rental purchases. The AAdvantage program has four elite tiers: Executive Platinum, Platinum Pro, Platinum and Gold. So this is the card to have if you’re trying to keep your AAdvantage elite status, since it has two ways to help you do that. First, you earn 5,000 elite qualifying miles (EQMs) for every $20,000 spent annually on the card, up to 10,000 EQMs a year. EQMs represent a percentage of the actual miles flown based on the airline and the booking code purchased, and status is achieved by earning miles ranging from 100,000 for executive platinum to 25,000 for gold. Second, you can earn 6,000 elite qualifying dollars (EQDs) after spending $50,000 on the card each calendar year. Earn another 3,000 in EQDs after spending another $25,000, and earn yet another 3,000 in EQDs after spending $50,000. EQDs are based on ticket price, including base fare plus carrier-imposed fees, but not government-imposed taxes and fees, on American Airlines-marketed flights. Status is achieved this way by spending a high of $15,000 for executive platinum to a low of $3,000 for gold. You can also earn status with Elite Qualifying Segments (EQSs), based on eligible tickets for flights on American or partner airlines. Status is earned by flying between 30 and 120 segments a year. Like other American Airlines-branded cards, the AAdvantage® Aviator® Silver World Elite Mastercard® also comes with benefits that upgrade the passenger experience, including a free checked bag and early boarding perk for the cardmember and up to eight companions on the same reservation; a $100 credit to cover your Global Entry enrollment fee; a 25% discount on in-flight food and beverages on American Airlines and American Eagle-operated flights when using the card; and a foreign exchange fee of None. Receive a companion certificate good for up to two guests, at $99 each, after your account anniversary when you spend at least $30,000 a year on the card. There’s access to the MileSAAver and AAdvantage reduced mileage awards programs that let you book award flights for fewer miles. Get 10% of your AAdvantage miles back every time you redeem them, up to 10,000 a year. You can’t just go to a website and apply for this card. You must first be approved for the AAdvantage® Aviator® Red World Elite Mastercard®, keep it for at least 90 days, then ask for an upgrade to the AAdvantage® Aviator® Silver World Elite Mastercard®, with its higher $195 annual fee. While the card is one of two that helps you achieve elite status — the other being the Citi® / AAdvantage® Executive World Elite™ Mastercard® — on American Airlines, it comes at what some might consider a high cost. If you do the math, you’d need to spend up to $145,000 to receive all the EQMs and EQDs offered with this card. For a card with a $195 annual fee, it’s odd that the AAdvantage® Aviator® Silver World Elite Mastercard® has absolutely no travel or protection perks compared to the AAdvantage® Aviator® Red World Elite Mastercard® with its lower $95 annual fee. 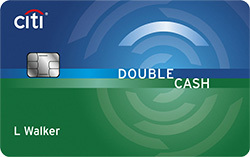 Other cards in this category come with benefits such as trip delay/cancellation insurance, baggage delay/lost luggage insurance, auto rental collision damage waiver, purchase protection and extended warranty, which are all missing with the AAdvantage® Aviator® Silver World Elite Mastercard® despite its $195 annual fee. Check out our post on Credit Cards With Travel Insurance. Each time you use your annual $99 companion certificate, it will cost you between $21.60 and $43.20 in government taxes and fees, based on the flights you book. Sign-up bonus N/A Earn 60,000 bonus points after you spend $4,000 on purchases in the first 3 months from account opening. (200) Over the Past 60 Days! For those who don’t fly American Airlines regularly, don’t want to be tied to one airline and want the chance to earn more points per dollar spent, the Chase Sapphire Preferred® Card is a good alternative to the AAdvantage® Aviator® Silver World Elite Mastercard®. Its $95 annual fee is lower than the AAdvantage® Aviator® Silver World Elite Mastercard® — and you also get more benefits with it. New cardmembers Earn 60,000 bonus points after you spend $4,000 on purchases in the first 3 months from account opening. Those bonus points are valued at $750 if you redeem them through the Chase Ultimate Rewards® website. Earn 2X points on travel and dining at restaurants & 1 point per dollar spent on all other purchases worldwide. Although the card offers lower points for travel, hotel and car rental purchases than the AAdvantage® Aviator® Silver World Elite Mastercard®, it offers higher points per dollar spent for dining. And the definition of travel with the Chase Sapphire Preferred® Card is much broader, including airlines, hotels, motels, timeshares, car rental agencies, cruise lines, travel agencies, discount travel sites, campgrounds and operators of passenger trains, buses, taxis, limousines, ferries, toll bridges and highways, and parking lots and garages. But the biggest benefit of the Chase Sapphire Preferred® Card is receiving 25% more value on the points you earn when you redeem them on travel at the Chase Ultimate Rewards website. That perk helps this card better compare to the AAdvantage® Aviator® Silver World Elite Mastercard® when it comes to miles/points per dollar spent. If American Airlines isn’t your carrier of choice, the Chase Sapphire Preferred® Card allows you to transfer your points 1:1 to nine airline and three hotel loyalty programs via Chase Ultimate Rewards. Those airlines include American Airlines’ oneworld alliance partners British Airways and Iberia. The Chase Sapphire Preferred® Card also has travel and purchase perks that the AAdvantage® Aviator® Silver World Elite Mastercard® just doesn’t have, including auto rental collision damage waiver, baggage delay insurance, trip delay reimbursement, travel and emergency assistance services purchase protection and extended warranty. Do want to apply for the AAdvantage® Aviator® Red World Elite Mastercard® first in order to get the AAdvantage® Aviator® Silver World Elite Mastercard®? Do you fly regularly on American Airlines or its oneworld alliance partners? Do you want a way to earn elite status on American Airlines? Are you willing to do the large amount of spending needed to get those EQMs and EQDs that help with status? Are the card’s higher miles per dollar spent for American Airlines purchases, along with hotels and rental cars, good enough? Do you like passenger experience perks like a free bag, priority boarding, in-flight food/beverage discounts and a Global Entry fee credit? 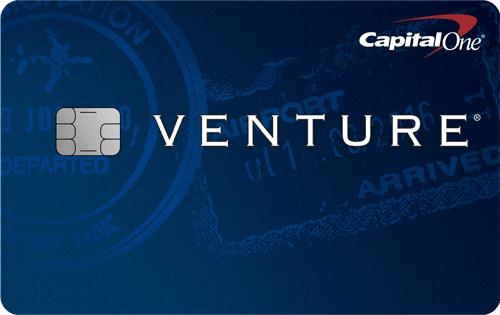 Do you want a card that offers travel and purchase protections? If your answers tip toward yes, then the AAdvantage® Aviator® Silver World Elite Mastercard® is worth it. 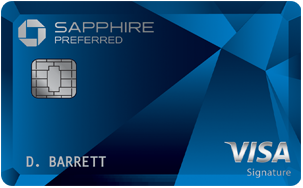 But if you want a card that’s a bit more robust when it comes to earning and redeeming points, along with offering better perks and benefits, then the Chase Sapphire Preferred® Card may be a better fit. Read our review of the best airline credit cards and our review of the best travel credit cards.